One of the most difficult questions to answer in the creative services industry can be, “what does your company do?”. This question refers to identity, and it is a core challenge of building a business, particularly if the industry you work in is not easily defined. The first factor to explore is a company’s services. What is important to note is that while most agencies are very dynamic and will offer a wide range of services, it is often a small list that they are very established in and known for. Additionally, many companies offer services that they outsource — they do not have the capabilities for these in-house so I will only mention those if the company is well known for that service. Here are the services offered by the creative industry, broken into four categories: Strategy, Design, Technology and Advertising. Strategy represents the consulting, planning and research services. Design is the visual, UX, photography and video services. Technology is the engineering, data and systems services. Advertising is the promotional, PR and marketing services. These agencies excel at executing on complex projects where many disciplines are required. These are often the largest and most profitable organisations within creative services. While they have all four service categories, it is often the advertising component that leads the business and most projects serve larger campaigns or a marketing goal. These agencies are similar to full service agencies but most commonly they do not offer full advertising services. This means that they focus on building platforms or products over advertisements or microsites. These companies prefer to focus on building lasting relationships with clients and help them create and execute a digital strategy for their business. Digital agencies focus on Strategy, Design and Technology, and typically forgo advertising services. A subset of the digital agency is something that I call a Product Agency. These companies have the capability of digital agencies but often focus on creating products both for themselves and clients. These agencies focus on design and often work with external partners like ad agencies, consultants or engineers to fully deploy their work. They often offer both digital and print design services as well as branding specializations and sometimes interior and product design. As a result, they focus on Design services and occasionally offer some strategy services. These agencies focus on building great projects for the web. They often are hired to create digital experiences that are a mixture of innovative technology, great design, and multimedia content. Although they are sometimes hired to simply create a great website. They work with ad agencies or consultants to deliver on a complex component of a campaign or a large digital project. Often these organizations focus on Design and Technology over Strategy and Advertising and have a great deal more production capability in the form of digital video and motion design. These agencies focus purely on marketing and advertising services. They prefer to work with specialist partners to build technology or complex design. They are PR companies, social specialists and traditional ad agencies. While traditional ad agencies often include many of the other services, they typically focus on Advertising and Strategy. These agencies focus on strategy and big ideas. They often do a great deal of research and specialiae in particular markets and industries. These companies can grow to become very large and often encompass professional and creative services under one roof. While they will often have R&D departments that include many other services, their key offering to clients is Strategy. These agencies specialize in using design to solve big problems. They pair deep insight and industry knowledge with design thinking to create some of the most innovative products and ideas. These companies often include nearly all services in order to prototype and deploy their ideas but focus on Strategy and Design. 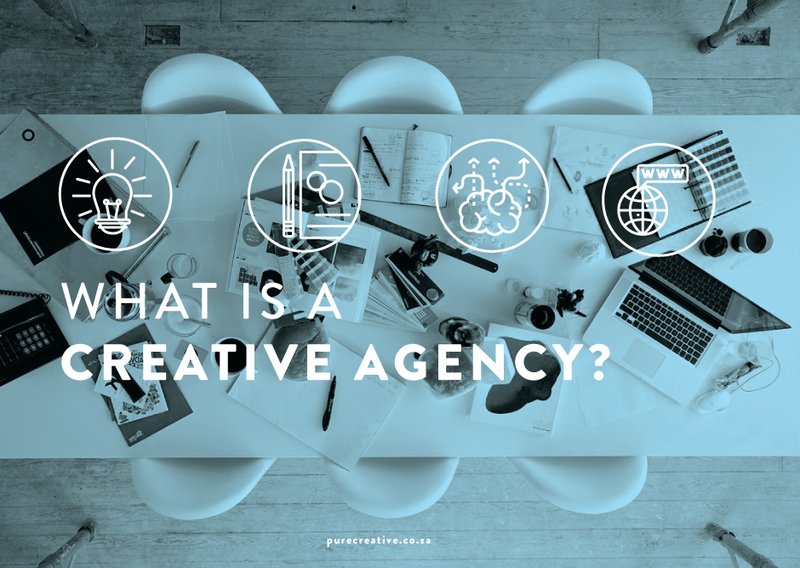 So what is a creative agency? It is a company that offers a combination of strategy, design, technology and advertising services to clients, it is creative or expert lead, it’s made up primarily of creative professionals, and it’s often strongly defined by values. They come in many shapes but knowing what you are is very important to growing as a company. Identity helps you understand what you are good at, where you create value and where you are headed.